Montserrat is a British Overseas Territory located in the Caribbean. The island is located in the Leeward Islands, part of the chain of islands known as the Lesser Antilles in the West Indies. Montserrat Yachting Association (MYA) has been established for the purpose of developing yachting in Montserrat. MYA is registered in Montserrat (registration number 01/2014). Managing Director of MYA is Mr. Peter Robert Ainsworth, RYA/MCA Yachtmaster Offshore and Powerboat Instructor, Drascombe Association Member, Past President and Commodore of Aberdaron Sailing Club, Governor and Lifeboat Sea Safety Officer of Royal National Lifeboat Institution (RNLI) and Sea Safety Advisor Trainer. Operations Director of MYA is Mrs. Margaret Ainsworth, MSc, MIPD, MISM. Peter started sailing with his older brother about 60 years ago. They sailed a Graduate dinghy, gunter rigged and 12 feet in length. After a couple of years they wanted a faster boat and bought an Enterprise. In the 1970s Peter and his brotherhad a small sailing cruiser, based at Abersoch and sailed the North Wales coast. Peter has cruised in the Irish Sea, the West Coast of Scotland,and sailed to Ireland, the Isle of Man and around the Isle of Anglesey. He has raced in the Three Peaks race from Barmouth in Wales to Fort William in Scotland, and in the ISORA races (Irish Sea Ocean Racing Association). 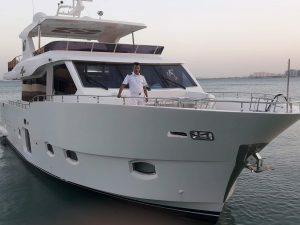 He has also sailed in the English Channel and to France in a Moody 376 based in the Hamble River and many times to Cowes in the Isle of Wight, the home of British yachting. Peter and his wife Margaret owned a 38ft cutter rigged sloop “Grey Wing”, which they kept in Jolly Harbour, Antigua for 5 years in which they visited Barbuda, Guadaloupe, Dominica, and Montserrat. Since selling Grey Wing they spend their time between Montserrat and the UK. Peter and Margaret now own two Drascombe boats, one in Montserrat which is used for training and recreation, and one in the UK. Aleksey Petukhov (Cyprus), certified Yacht Master Offshore up to 200 GT (Motor and Sailing) by Sierra Leone International Yacht Registry. 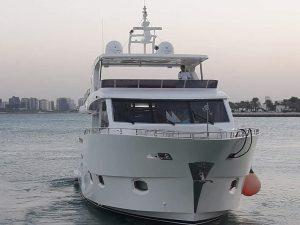 Yuriy Bardin (Ukraine), certified Deep Sea Navigator by Ukrainian Maritme Administration, Master of Yachts up to 500 GT by Ukrainian Maritime Administration, GMDSS Restricted Operator by Ukrainian Maritime Administration and Captain of Yacht (Sailing and Motor) by Ukrainian Safety Shipping River Inspectorate. Yuriy is graduated from Odessa Higher Engineering Maritime Academy in 1989. Tom Burland (Thailand), certified Yacht Master Ocean Unlimited (Motor and Sailing) by Sierra Leone International Yacht Registry. 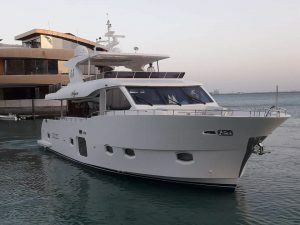 Gajir Ladjamurah (Qatar), certified Yacht Master Ocean Unlimited (Motor) by Sierra Leone International Yacht Registry. Ramis Fayzullin (Greece), certified Captain of Yacht up to 80 GT by Russia, Skipper (Motor and Power) by IYT, ICC Skipper (Motor and Sail) by IYT, VHF Radio Operator by IYT, Sail and Power Instructor by IYT. Taras Guts (Italy), certified Captain of Yacht (Sailing and Motor) by Ukrainian State Shipping Inspectorate and VHF Radio Operator by IYT. Average mileage per year - 5000.